From the streetside, the outside of the building has retained an old warehouse look. 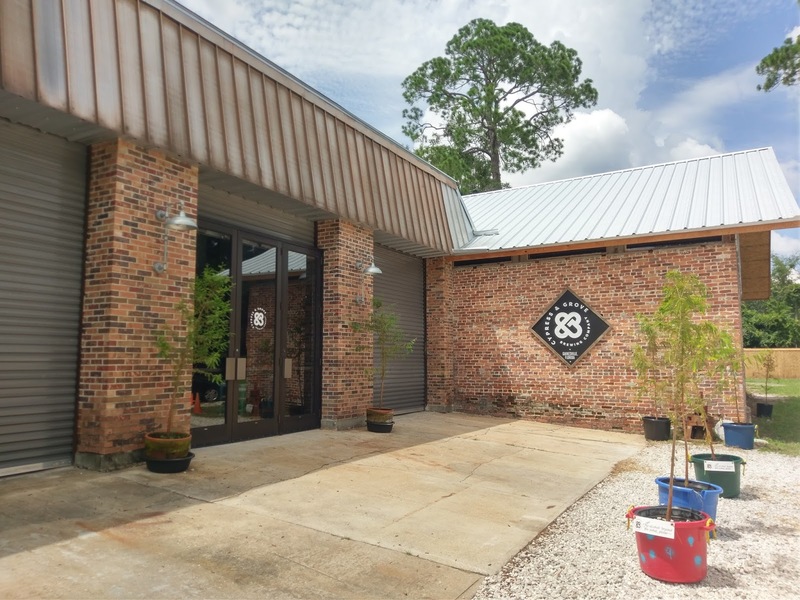 Once at the front entrance, the brick exterior stands out. 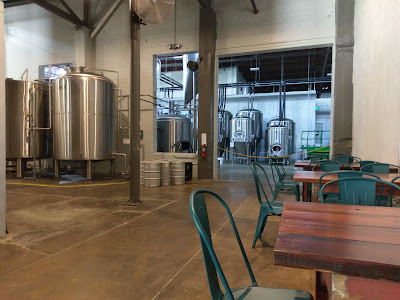 The inside is divided into several parts: the tap room, the brewhouse, and a lounge area -- and, you probably won't expect what you're about to see after walking in the front door. The main tap room features a bar with seats around the side, eight tables, a ledge, and two oversized bay doors. 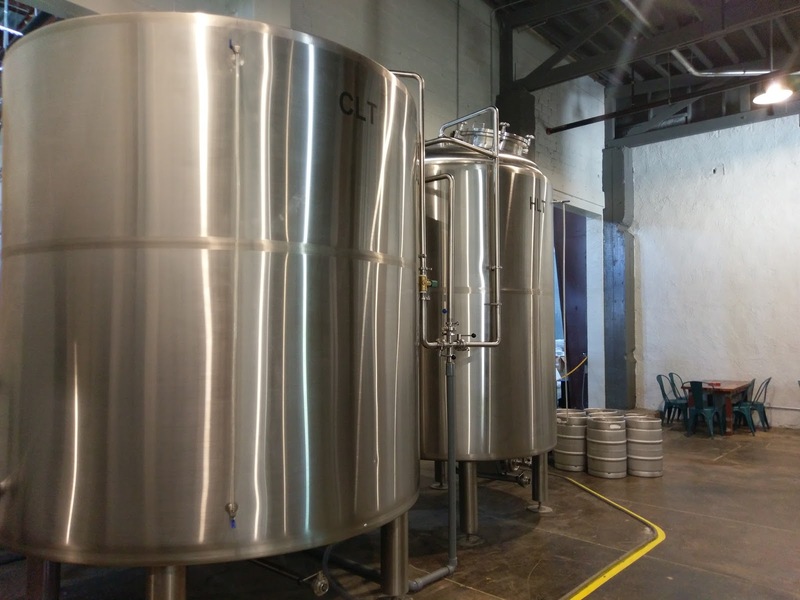 Immediately behind the tap room is the 15-barrel brewhouse, with plenty of room to grow (yeah, that probably means more beer is coming). 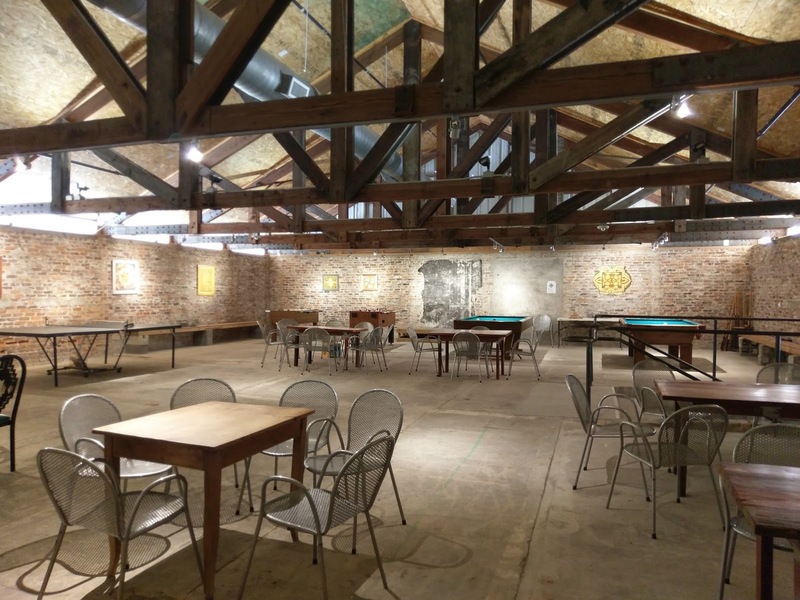 No shortage of things to keep you busy while you sip on house beers: pool tables, foosball, ping pong, and it looks like a second bar area is on the way. 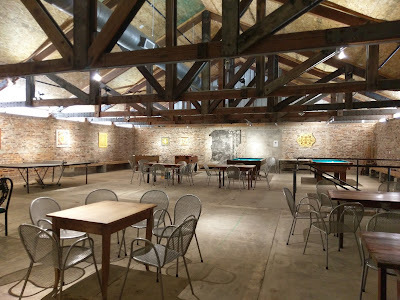 Not only is this a beautiful space with brick walls and wood-beam ceilings, there's plenty of elbow room! Yeah, like I said, pretty cool place! Of course, you need beer! At the time of this writing, the bar serves six house beers on tap, along with wine and seltzer (plain or flavored). There are two water dispensers on either side of the bar. Hogan, the bar manager, is a friendly type who will pour a flight or individual beers. 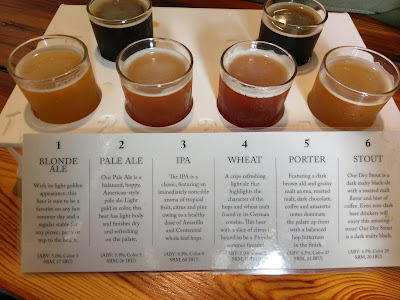 No better way to try 'em all than with a flight of six! Flight time! 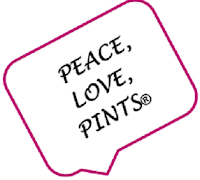 And, nice beer notes! The six house beers run through the most popular beer style categories and are simply named by style. 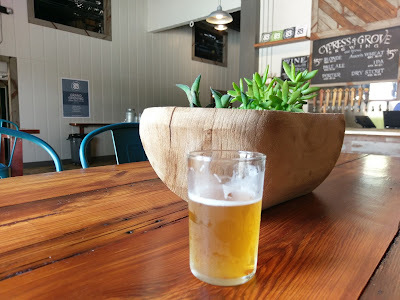 I love a Blonde Ale (no blonde jokes, please), because lighter beers just go with anything, they are repeatable, and they are refreshing. 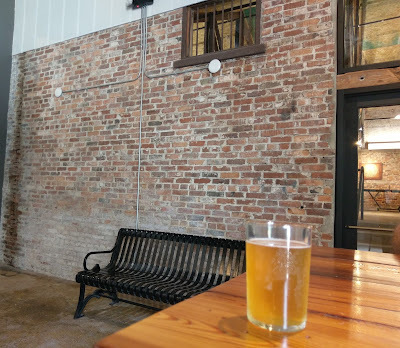 The house Blonde Ale (5 ABV, 17 IBU) is a light gold color, with bready characteristics, and true to style, it's a good, solid, all-around lighter-type beer. Blonde Ale: a good go-to! 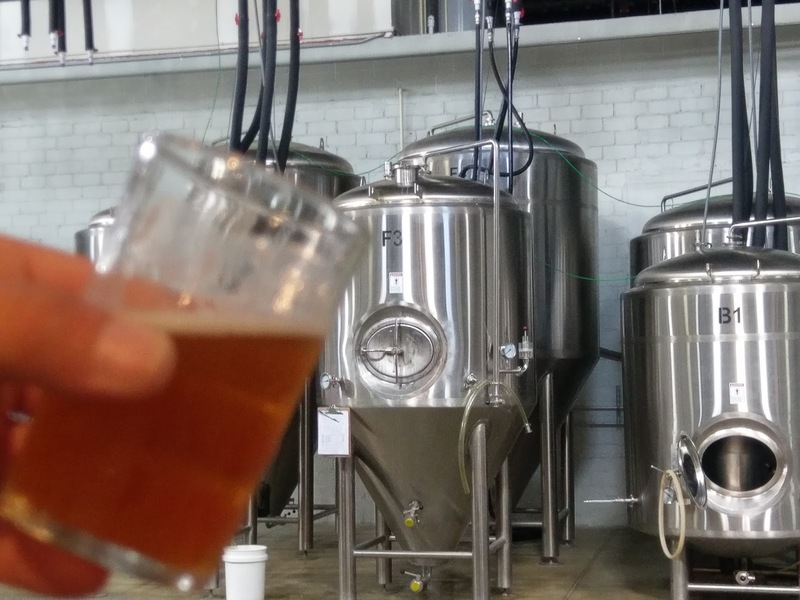 The Pale Ale (5.8 ABV, 26 IBU) has woodsy notes, and a dry finish, with a lingering bitterness. 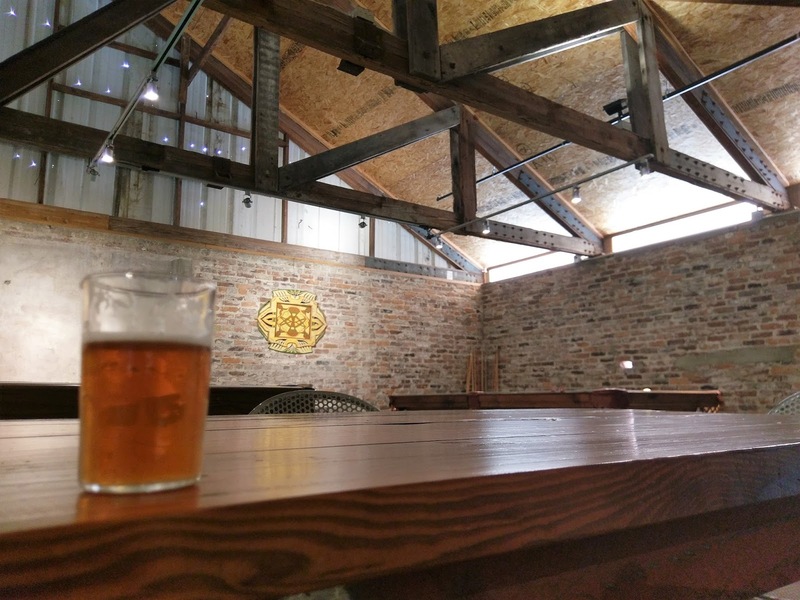 Hopheads will find a solid IPA in what's aptly named "IPA" (6.9 ABV, 60 IBU). The beer pours a deep gold, with citrus and piney notes and characteristic bitterness, along with a bitter aftertaste. The American Wheat Ale (5 ABV, 17 IBU) has a mild malt sweetness, and I detected hints of Pilsner-ish spicy hops in the flavor, which I enjoyed. Note that it's not a German Hefeweizen or Belgian Wit, and you won't find those specific flavors in this beer ("American"). This one is also very repeatable and thirst-quenching. 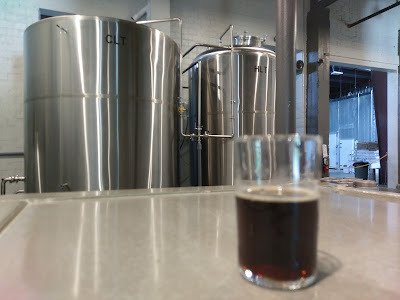 Rounding out the beer styles are two dark beers: Porter and Dry Stout. Pouring a deep mahogany color, the Porter (6.5 ABV, 24 IBU) has a roasty aroma with coffee notes, and flavors of roast, chocolate, mild coffee and a touch of dark fruit. 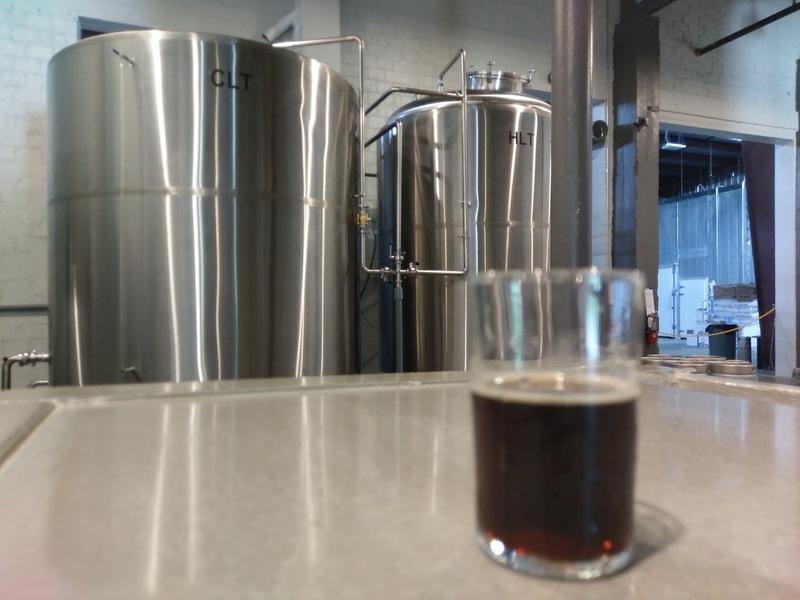 The Dry Stout (4.5 ABV, 20 IBU) is black in color, with a roasty aroma and flavor, with subtle coffee, and an emphasis on the roast. 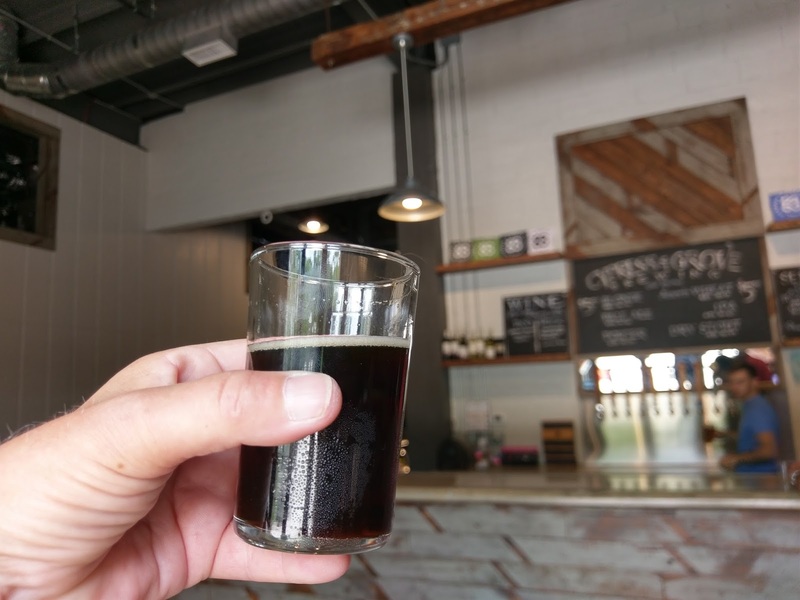 This is a dark beer that's easy on the palate. 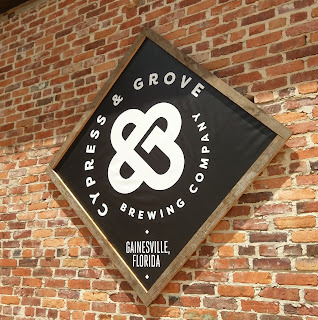 If you're around the Gainesville area or looking to rev up the tank for a roadtrip/beertrip, add Cypress & Grove Brewing to your list of Gainesville breweries. It's an up-and-coming brewery to keep your eyes on. 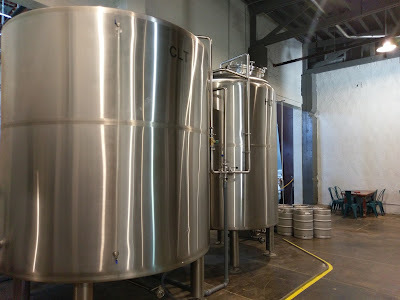 And, it'll make for a cool brewery visit! The ice plant building dates back to 1903. One more thing: you'll notice the slogan "It All Starts at the Well." 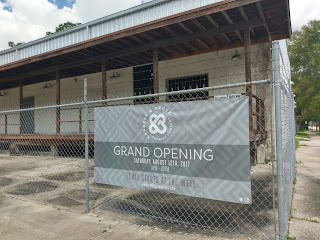 Well (no pun intended), that's a reference to a 386-foot deep well on the property that the brewery uses for its water. Cool facts. 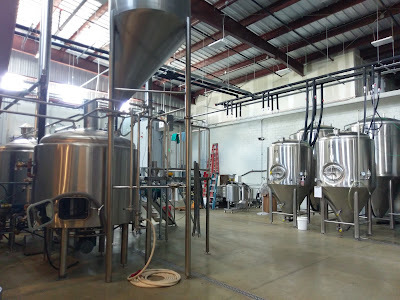 When the brewery opened in June, it was only open on the weekends. 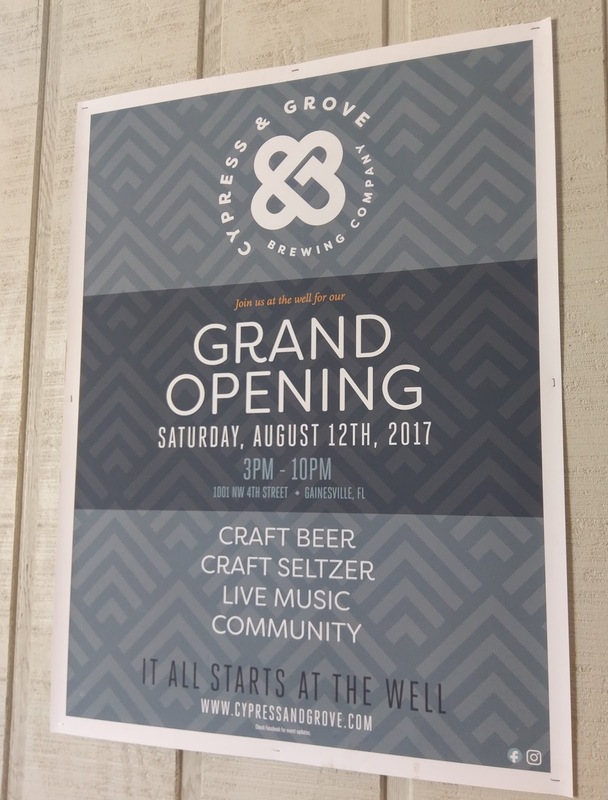 Following its Grand Opening on August 12, it is now open four days a week, closed on Tuesday/Wednesday. Hours are: Thursday/Friday: 3-10pm; Saturday: 1-10pm; Sunday: 1-9pm; Monday: 5-10pm. 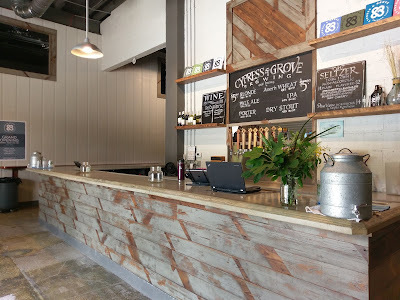 Cypress & Grove Brewing is located at 1001 NW 4th Street, Gainesville. 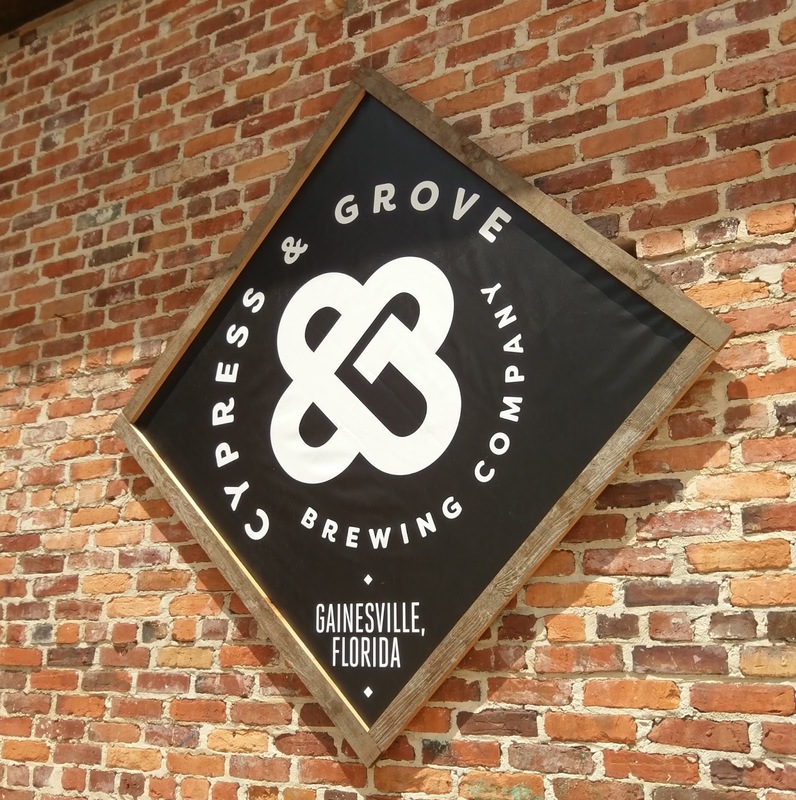 Heading to Gainesville for a game or just for a visit? 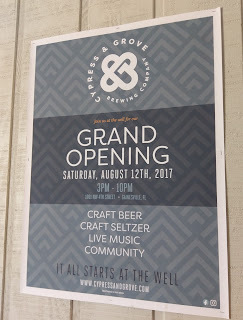 Include a stop at Cypress & Grove Brewing. I had a fun visit, and it was, well ..... cool. And, with that, that's all she wrote.